What? It's nearly May? Okay long time, no post. That devilish fantasy game Skyrim kept me busy for many winter months and of late some personal issues have blighted by enthusiasm and motivation for any artistic doings. But I am slowly weaning myself back into fantasy art, both 2D and of course 3D. But not only art. Oh no. I have been doing a little writing to. A long time ago I went through a very bad personal patch, wrote a little poetry to help soothe the journey so I did. And then it was consigned to some lost and nearly forgotten cupboard and I never looked back. Well dark times have come again and I pulled out this old folder and looked through the poems. I decided it might be time to share them, there are some good reads amongst them, even if I do say so myself. Some need a little editing, others don't. Either way, expect to see them on this blog on their very own page no less. I have kept my selection of poems on the blog to the fantasy genre, so it is in keeping to the theme of showing the love to fantasy and science fiction. At sometime a download will appear in ebook formats, when there is enough to warrant it. I have a collection of around 18, so certainly not enough yet. I hope to expand it to around 50 before I put them into a book format. Only 1 new poem written so far - "The Faery Ring", I quite like it, perhaps needs a little edit and fine tune. Art can bring a story to life and words breathe life into the fantasy worlds we create with our painting, modelling, sculpting and drawing so I personally feel very much inclined to include a little of my writing here in addition to the amazing sculpts that are to be found on the net. 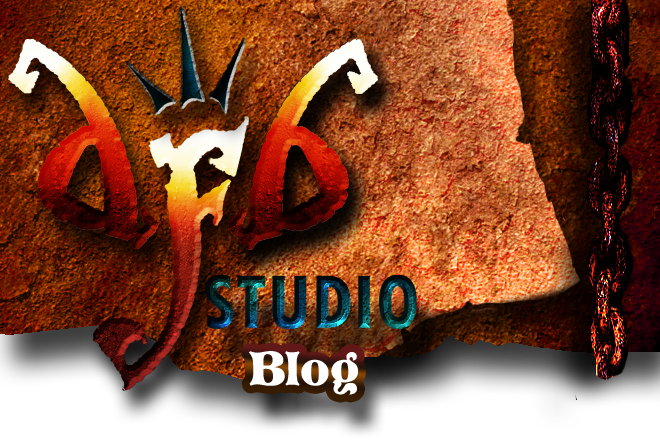 This blog has turned largely into showing my love of the fantasy genre and sharing my finds. I never worked fast enough to have much of my own work to show, but I hope I can get through my personal troubles and become interested in my interests once again.